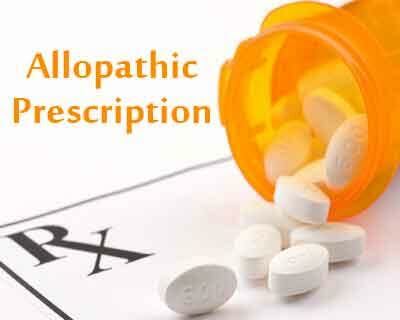 Pune: While its warzone for allopathic doctors as well as Ayush in the fight for practice of allopathy, seems like other stakeholders including pharmacists and chemists are joining the battle to prescribe allopathic medicines. AIOCD, All India Organisation of Chemists and Druggists, has written to the Maharashtra state ministry as well as the drug controller to allow them to prescribe allopathic medicines. One similar lines, pharmacists have also written to the ministry, making similar demands, reports Pune Mirror. The drug control department confirmed the receipt of such a demand.”The chemists have argued that they know more about medicines. But, the permission cannot be granted. They have filed the plea in a sarcastic manner to mock the government’s decision favoring homeopathy and ayurveda doctors,” informed Atul Nasa, assistant drugs controller, national drugs control department. The move comes in light of the decision of Maharashtra Government allowing ayurvedic as well as homeopathic practitioners prescribing certain allopathic drugs in the state. It is reported that this decision has been challenged by the state IMA in the high court. A Similar battle is pending in the Supreme Court, which will come up for hearing on Monday. Are you joking are are you seriously suggesting this? ??!!!! In a strong deterrent to such people!& SHAMELESS DEMANDS. The councils & the administrative authorities should first Cancel their licenses to run the medical shops & later run the remaining show! Similarly all Airticket vendors be allowed to fly the fighter jets & other flights! Some non educated person or non doctor works as compunder or ward boy in ot can do surgeries . Does it mean we allow them to surgeries . If allowed we should allow on persons who argue for things know they can do. First of all, they don\’t know about diseases, clinical pharmacokinetics & pharmacodynamics. A pharmacist is taught all of the above: pharmacology, kinetics and dynamics, probably in more detail than an average doctor, which is why they make and design medicines, not doctors. Indeed, pharmacists are permitted by law to prescribe medicines for many (minor) ailments in developed countries such as the UK. The fact that physicians (like you) think that they know more about drugs and how they work than pharmacists is both amusing and worrying: it displays an ignorance that is unfathomable. Note that I don\’t dispute the fact that physicians do know more about diseases, but that they over-estimate their knowledge in a sphere where they are, frankly, out-classed. I would also like to point out that pharmacists are modern derivatives of the apothecary, who were also licenced to prescribe medication and doctors have actually stolen their symbol, the caduceus.